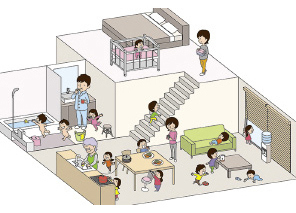 “Safety Action Image Training” is an innovative tool (a set of illustrations) that enables you to pleasantly and independently learn the prevention of accidents and crime that children and infants are often involved as well as damages and how to defend yourself when an earthquake happens. As there are no letters, it is easy to use for kids. 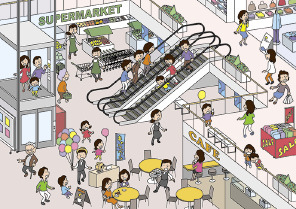 There are three kinds of illustrations they are, Accident Version, Accident Crime Prevention Version and Big Earthquake Version. 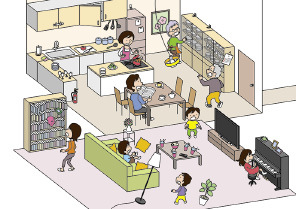 Each illustration has versions of Before (before an accident, incident or big earthquake happens) and After (after they happened). After showing the Before version, we encourage you to think freely about what would happen next. Then, a discussion starts about good and bad actions. The key point of learning with the tool is to make them think about various possibilities while they are seeing illustration of Before. Next step is to show the After version. The After version shows the cases that potentially cause the most serious accidents, injuries or incidents. As they are only examples, however, it is not wrong even if the answer is not drawn on the After version. 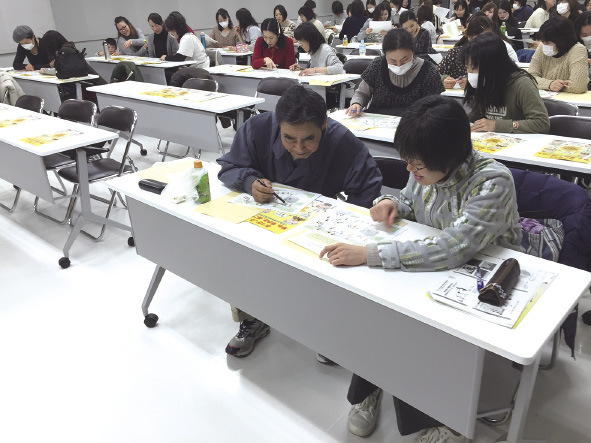 While learning about the examples shown on After illustration, participants discuss each answer’s background (why do they think like that). This is used to deepen the learning. The best point of the tool is that it naturally makes participants think actively, and avoids making a simplistic success or failure judgment. * Preventable cases are picked to draw illustration from accident examples that cause serious injury easily. 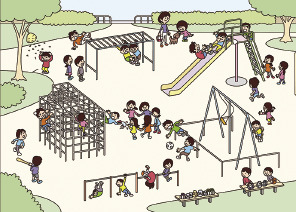 * “City park” includes illustration that is to think about manners of park use. * Suppose a big earthquake of seismic intensity more than 6 in every case. Imagine both “what would happen (damages and affects)” and “what would you do (action)”. 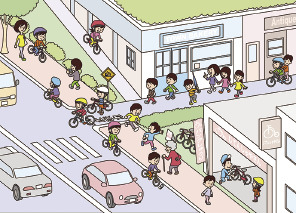 Safety Action Image Training is invented as a developed version of the Risk Prediction Training that is implemented at a children’s center in Atsugi-City. It’s been a while since the Risk Prediction Training was made, therefore it does not fully cover current accidents and crime prevention. Also, the drawings were not familiar for children today. That is why it was replaced with cases that happen often to kids today. This is how the new versions such as the Accident Version were made. New innovative ideas below were added, because we value the opportunity for children to think spontaneously about rules and we want them to enjoy learning by adding game characteristics. 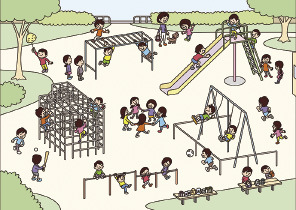 Then, “City Park” in the Accident Crime Prevention Version was made. 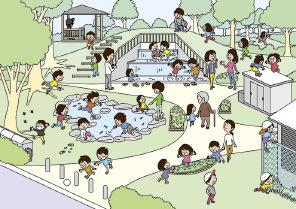 It reflects opinions from childcare workers at children’s centers or nursery schools in Minato Ward Tokyo, who go to city parks with children most days. 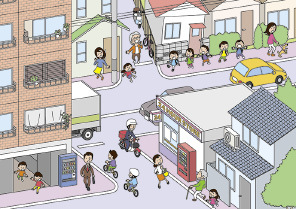 The Big Earthquake Version includes disaster cases in past and is made from the point of view of the experts in disaster prevention. Clearly drawing illustrations of before and after a big earthquake (an earthquake of seismic intensity more than 6), it urges you to think spontaneously about how dangerous or safe hardware infrastructure is and how to defend yourself. 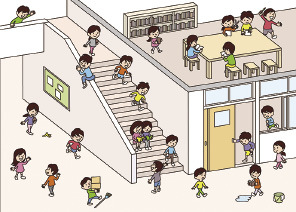 There is no difference between adults or children’s actions in the Big Earthquake Version. 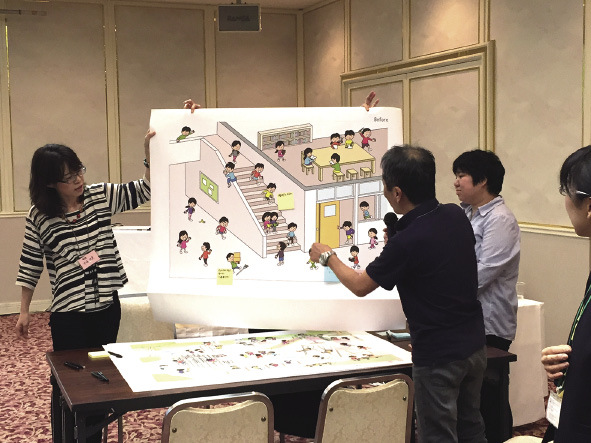 The Big Earthquake Version can be adopted to any situation, such as disaster prevention training that is apt to become a tedious routine. They have replaced the old Risk Prediction Training with our educational materials and practiced with children before events. Also, they use the educational materials of infant accident after “Sun Time”, that is playtime for infants. The training on how to use educational materials was done for childcare workers at the center. 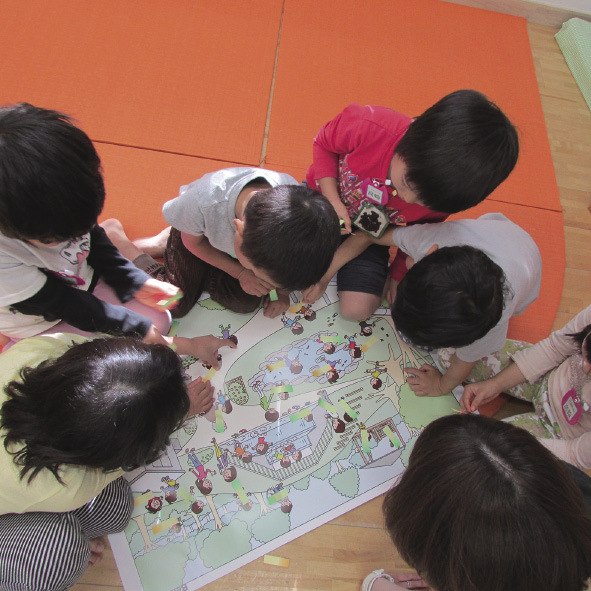 Because they frequently use the city park in front of the children’s center or nursery school, they ran a workshop to help children learn both accident and crime prevention with the City Park Version. 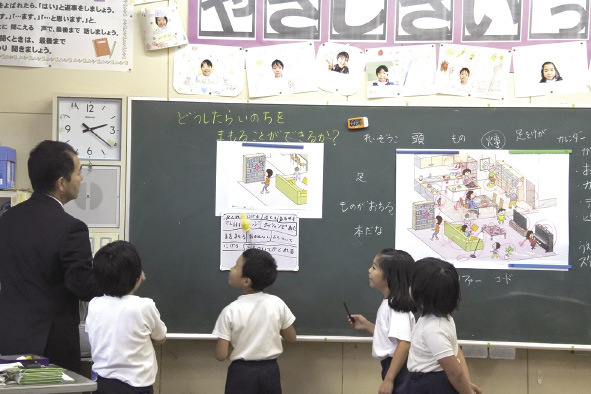 This elementary school has been selected as a disaster prevention school and used the Disaster Prevention Version as a learning material for second-year students. 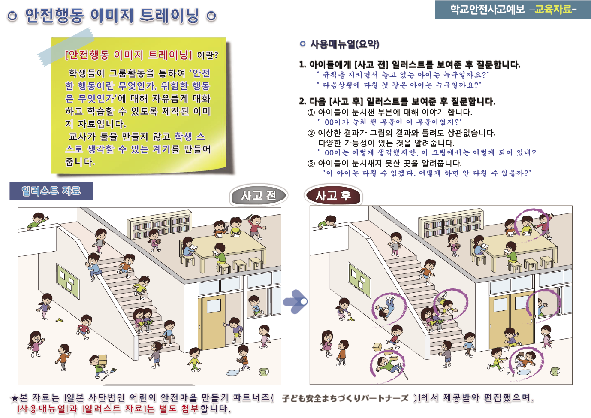 Gyeonggi Province Educational Committee sends out materials on safety to all schools under its jurisdiction (about 4,400 schools from nursery to high school) every month. 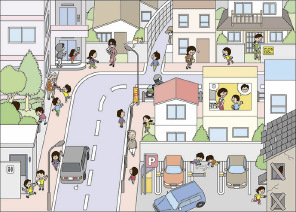 On November and December 2015, the Accident Version (park and street) from Safety Action Image Training was introduced as a material and distributed. In addition, Safety Action Image Training has been used at community events for disaster prevention or safety learning.